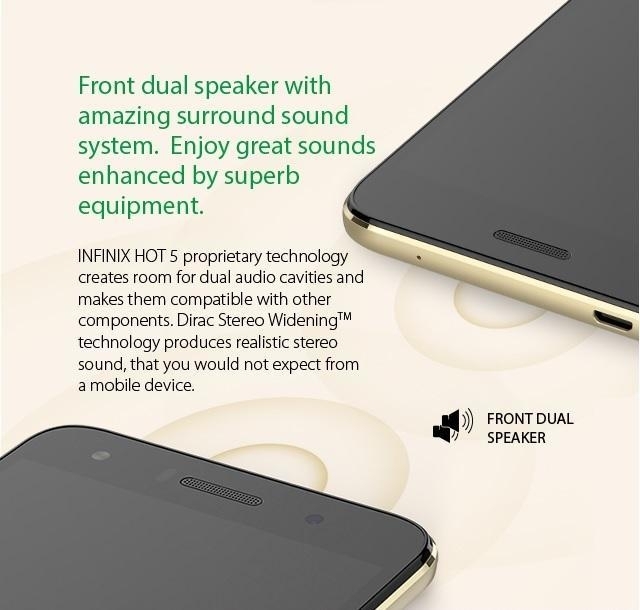 The Infinix Hot 5 (X559c) has 5.5inch with 2GB RAM and 16GB ROM. Bring your best moments to life with the 8MP + 5MP front and back cameras. 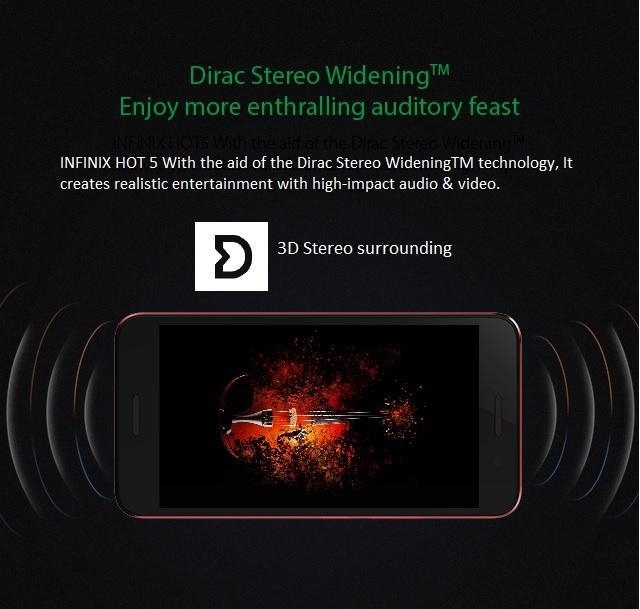 Fast charging and switching from app to app are all accomplished at incredibly fast speeds thanks to its quad core 1.3GHz processor. 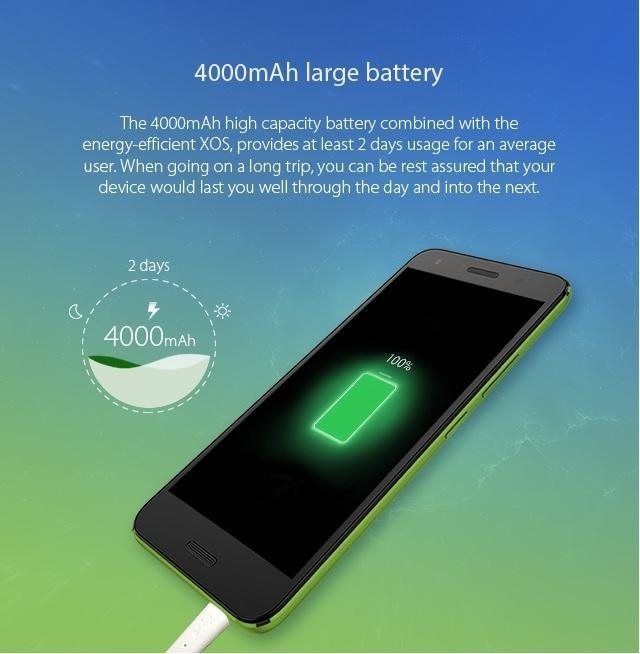 The 4000mAh battery ensures freedom from charging cables and enables you to enjoy a superior mobile experience with the Infinix Hot 5 (X559c) Smartphone. 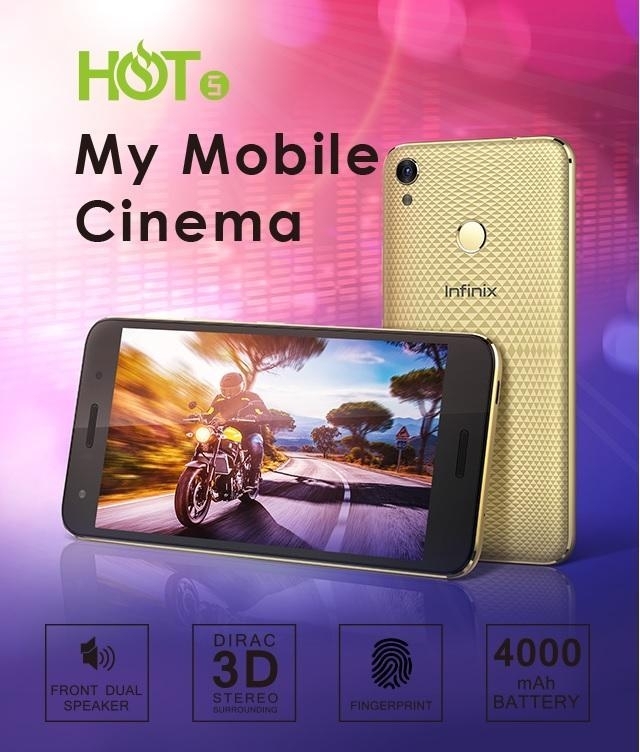 The Infinix Hot 5 comes with enough memory to suit your needs. There’s a 2GB RAM and 16GB ROM that gives you more than enough room to multitask. Take your best shot every single time. 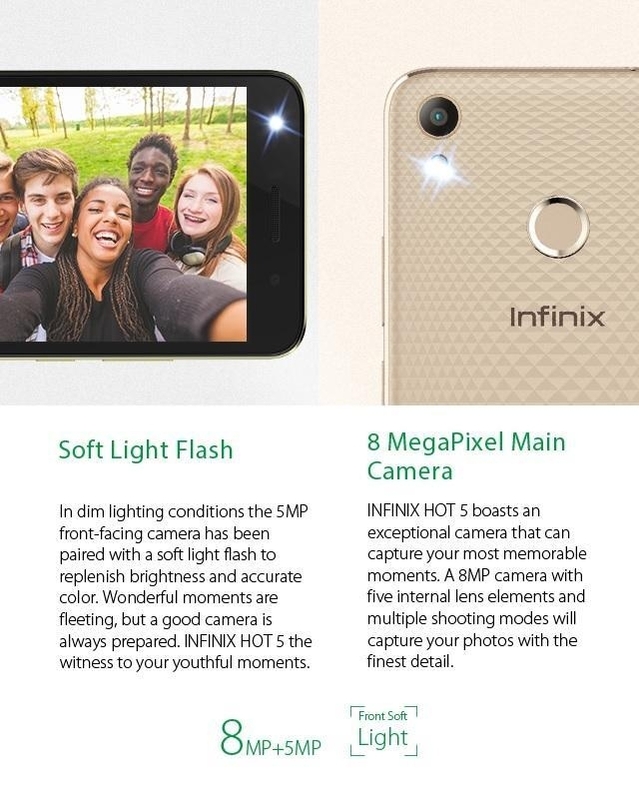 The Infinix Hot 5 features an 8MP rear camera with flash for capturing your best self. Preserve your memories in true to life resolution. 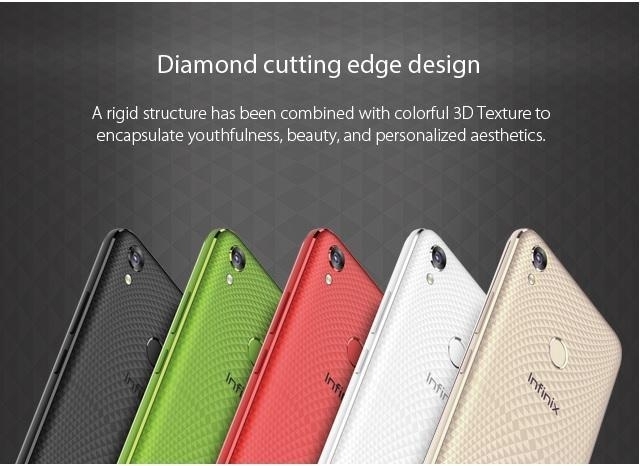 You’ll also capture the perfect selfies with the 5MP front camera which has a flash for a natural light effect. 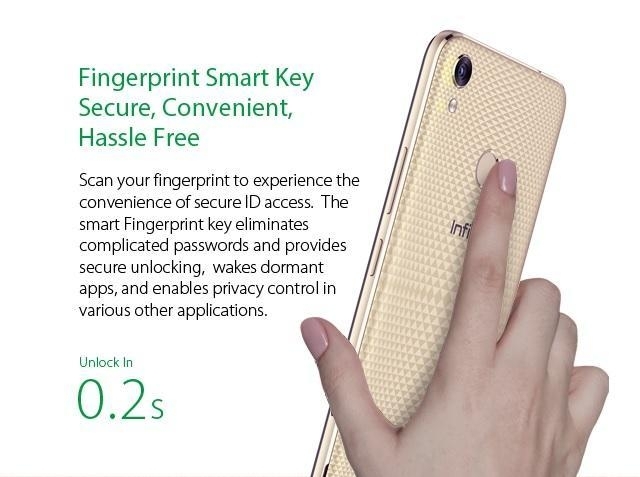 Enjoy the sweet features of Android Nougat 7 on the Infinix Hot 5. Android’s new Operating System is an even improved update that offers you the same Android goodness that you know, and a little more. Enjoy choosing from at least 1.2 million apps on the Play Store. 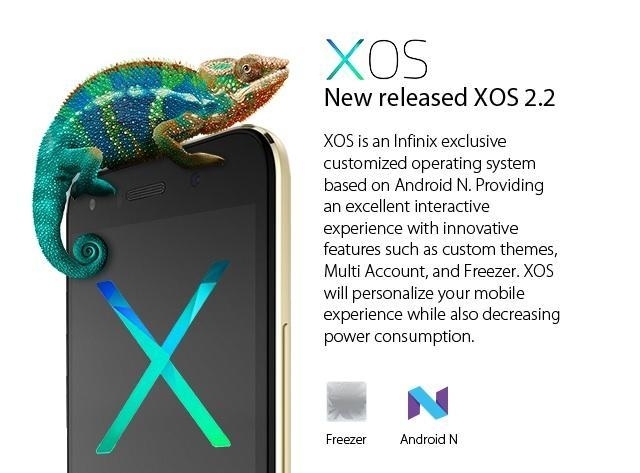 Enjoy features like Google Now on Tap, Voice Search, Enhanced Security and App permissions.